Warning: Contains explicit images and spoilers. 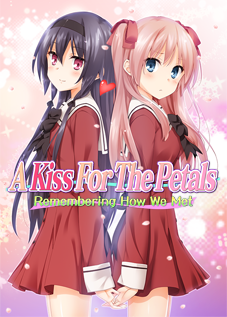 Fuguriya has re-released their second drama CD, A Kiss For The Petals – Kaede-chan Super Mode (その花びらにくちづけを　楓ちゃんスーパーモード Sono Hanabira ni Kuchizuke wo – Kaede-chan Super Mode) in MP3 format. As noted in their tweets from December 2015, the first three drama CDs are no longer available in stores, so they are in the process of releasing all drama CDs through online doujin game outlets. 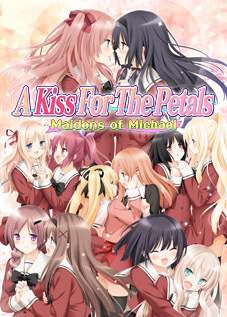 The drama CDs are in MP3 format at 160 kbps, 44.1kHz with cover artwork included in JPG format. 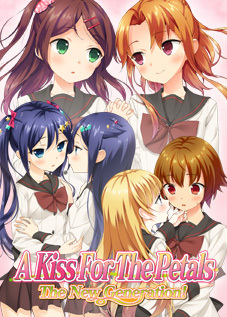 The CD is available on the English versions of DLSite and DMM, as well as a sample containing the first two tracks . Both accept international credit cards. DLSite is recommended as it presents the price in US dollars and offers a reward program for frequent purchases. Ralen has translated the original information page for the drama CD below. The cover image from the original page is not safe for work, so it is not included here. When Kaede gets invited to spend a night at a hot spring hotel with Sara, she’s nothing short of commanding, even asserting herself over Sara on the train! 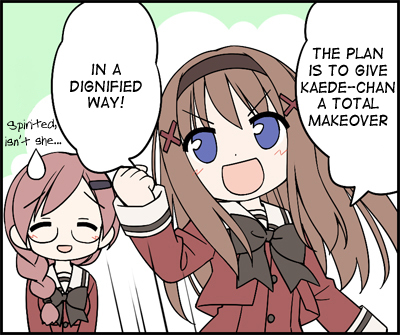 Sara is like a helpless kitten before Kaede’s dominance, and there’s nothing she can do to stop her! All that and more on this dominant Kaede-chan drama CD! On the train! At a deserted station! On a country road on the way to the inn! In a freeing environment devoid of poeple, Kaede’s “God Fingers” never stop pulsing light! A Kiss For The Petals – The New Generation! You may link to any page on this website without prior consent. Anonymouse may be needed for Fuguriya's website. All comments will be reviewed before publication. Please review all information in the post carefully before making comments. Comments asking about downloads, sources, or release dates will not be accepted. Irrelevant or disruptive comments will also not be published. If you post a non-worksafe link, clearly label it as such before commenting. Sono Hanabira ni Kuchizuke wo is ©2006-2018 Fuguriya, Yurin Yurin, and St. Michael Girls' School. This site is not responsible for the content of external websites linked herein.